This dessert couldn’t be easier to assemble. And it is absolutely delicious. Like can’t stop eating it until it’s done and you still want more delicious. Make your vanilla pudding — basically blend your vanilla pudding mix with the two cups of cold milk for about a minute or two. Let it set for just a few minutes and you will have your pudding. Fold into your cool whip. Now it’s basically just assembling your layers. 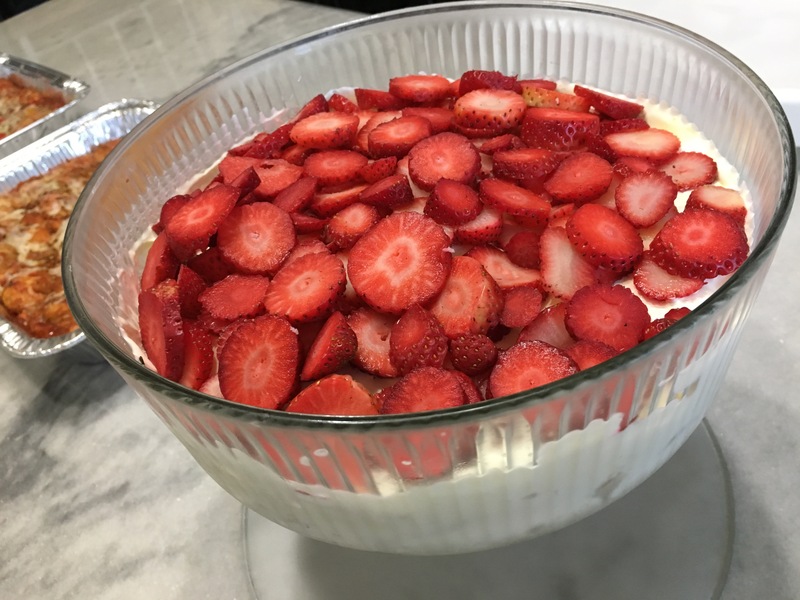 Layer the bottom of your trifle platter with the pudding/cool whip mixture. Add a layer of cake, followed by strawberries. Continue the layers. Add a top layer of cool whip/pudding. 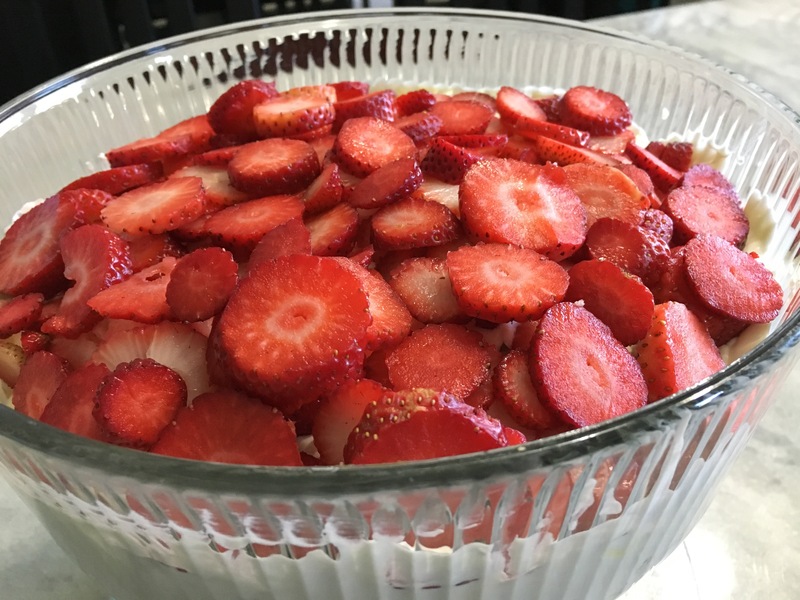 Decorate the top of your trifle with a layer of strawberries. Maybe a dollop of whipped cream in the center to give it a finished look?